If you’re a hip-hop purist or a fan of underground rap in general then you’re most likely familiar with CZARFACE and you’re definitely familiar with MF Doom. They’re two acts that have made their names through the underground ranks (with CZARFACE even consisting of hip-hop purists’ darling, Inspectah Deck) and have put out solid material that at the least has scratched that nostalgic itch. So aside from their clear affinity for comic books, this pairing of kindred spirits seemed like a no-brainer. 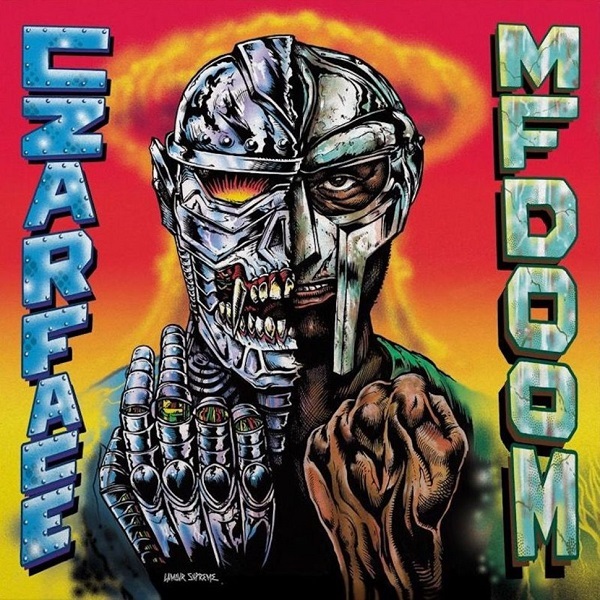 But while Czarface Meets Metal Face is full of all of those throwback elements fans will appreciate and it has a few standout moments, it’s a largely average affair – this isn’t a case of two well known acts elevating each other’s craft. Oftentimes they come off as lethargic, with Doom in particular being a culprit of this, and with the exception of a few songs the production isn’t particularly exciting. CZARFACE & MF Doom put out a generally competent album but I’m not sure that it’ll even satisfy the traditionalists out there. Have you heard Czarface Meets Metal Face? What’d you think about it? Do you think it brought out the best of either CZARFACE or MF Doom? Let me know in the comments below and be sure to leave your own ratings and reactions for the album. CZARFACE & MF Doom put out a generally competent, but not particularly exciting, project that aims to please the hip-hop purists out there. But it's largely lethargic feel and average rhymes probably won't satisfy even the staunchest traditionalists out there.